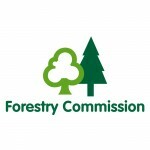 Westonbirt, The National Arboretum is cared for by the Forestry Commission, the government agency responsible for managing Great Britain’s public forest estate. As well as ensuring Westonbirt’s long-term future, its mission is to connect people with trees to improve the quality of life. Volunteering plays a fundamental part supporting this mission, providing essential help in maintaining the arboretum and making visitors feel welcome.